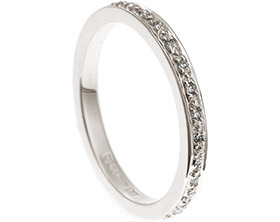 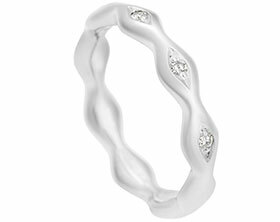 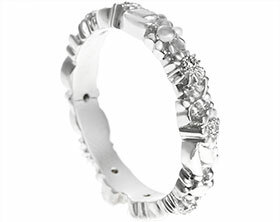 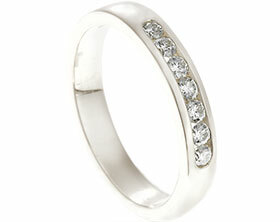 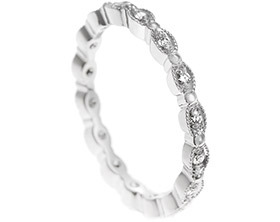 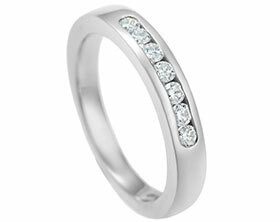 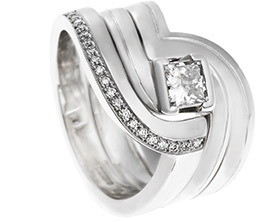 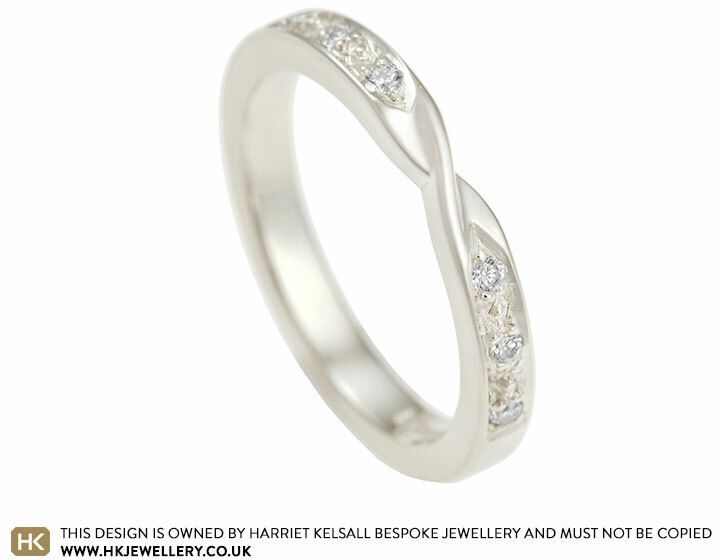 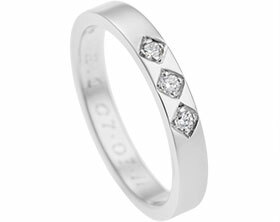 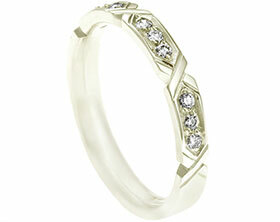 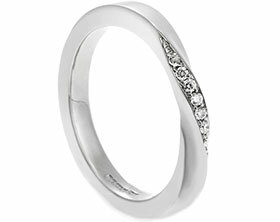 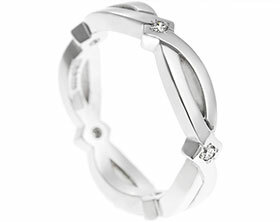 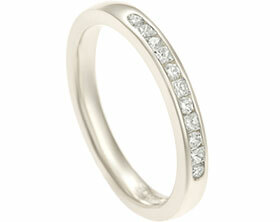 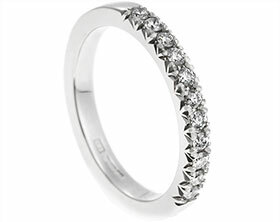 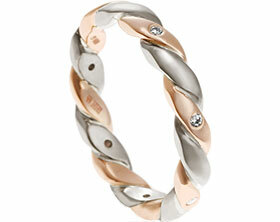 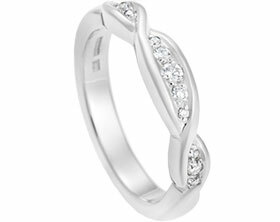 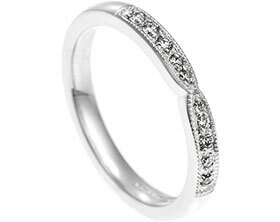 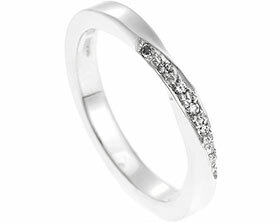 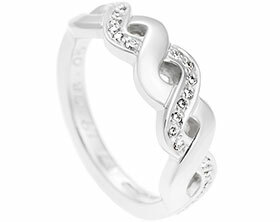 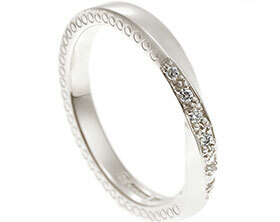 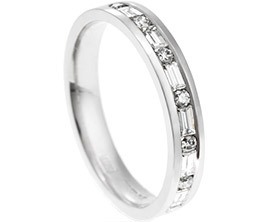 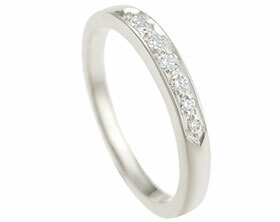 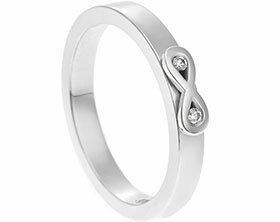 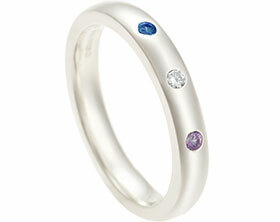 Handmade from Fairtrade 9 carat white gold, this eternity ring is inspired by a Mobius twist. 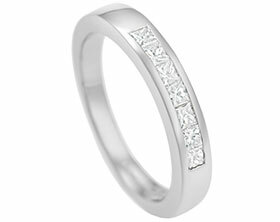 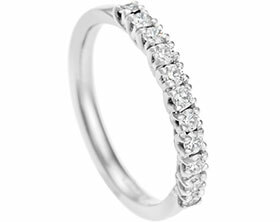 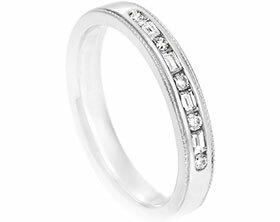 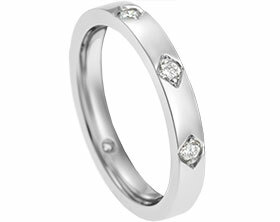 The ring holds six pave set G-H VS1-2, 1.5mm diamonds which total 0.06ct.The stones have been equally spaced along the band with small grain detailing between each diamond. 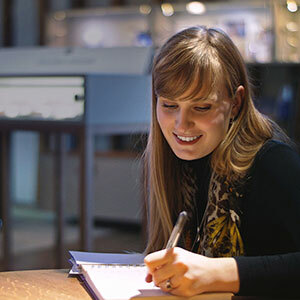 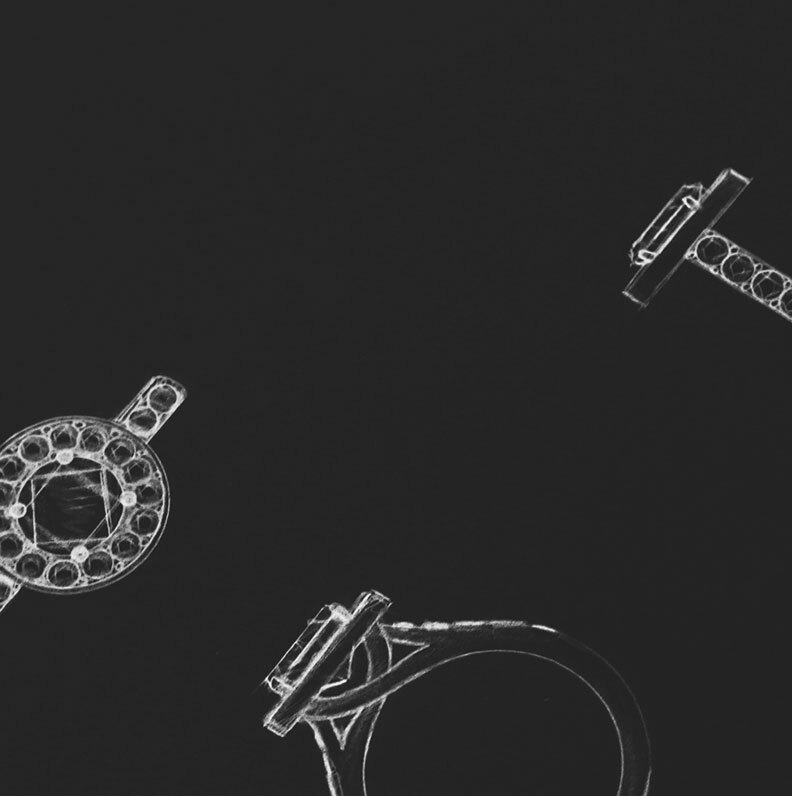 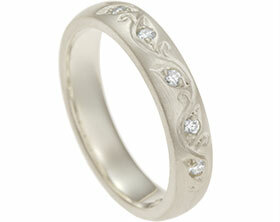 The band is 2.5mm wide and the edges have been softened slightly to add to the design's delicate finish. 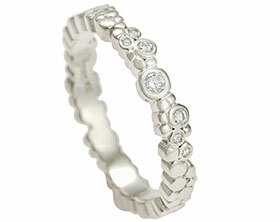 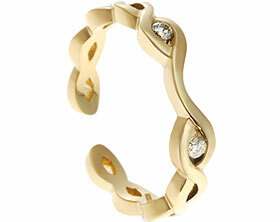 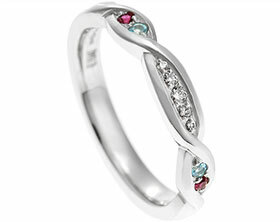 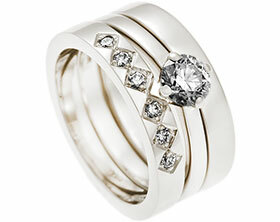 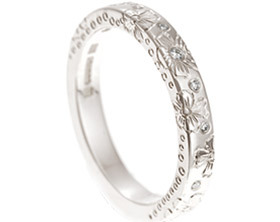 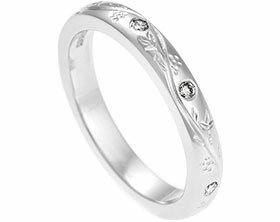 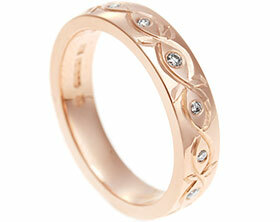 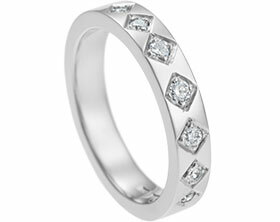 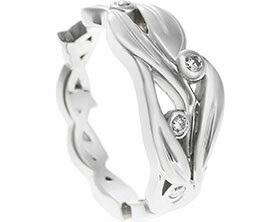 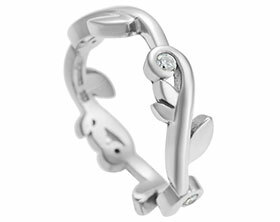 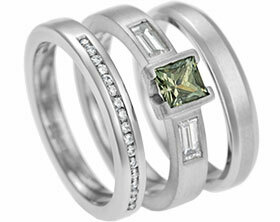 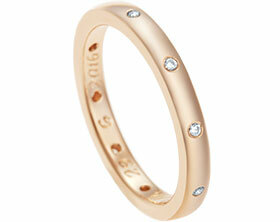 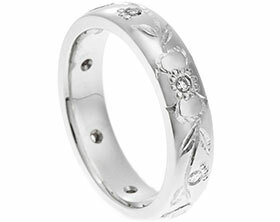 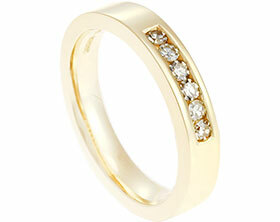 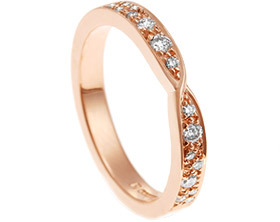 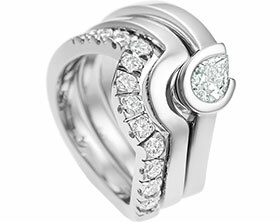 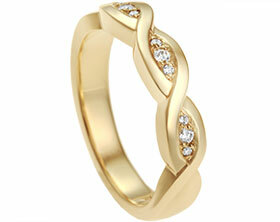 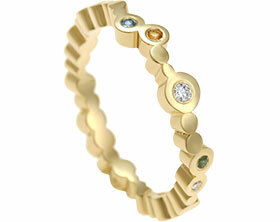 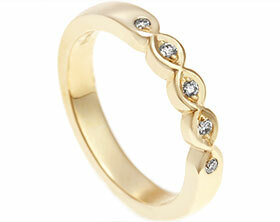 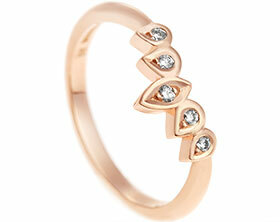 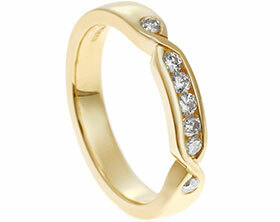 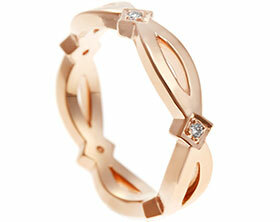 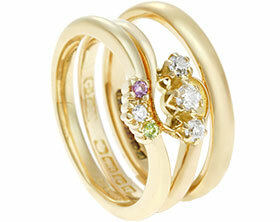 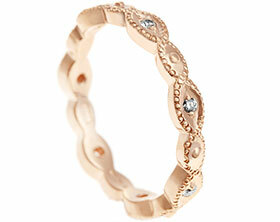 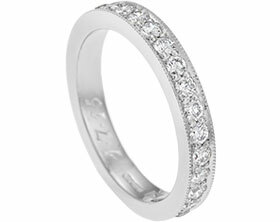 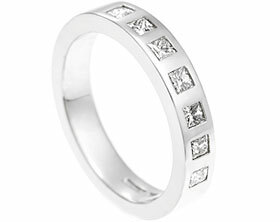 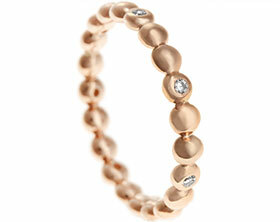 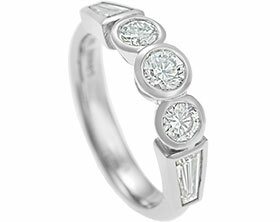 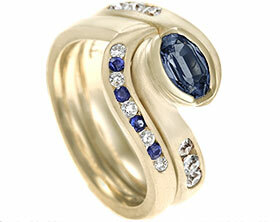 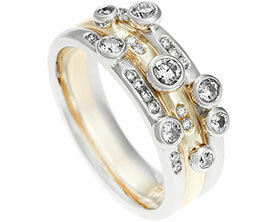 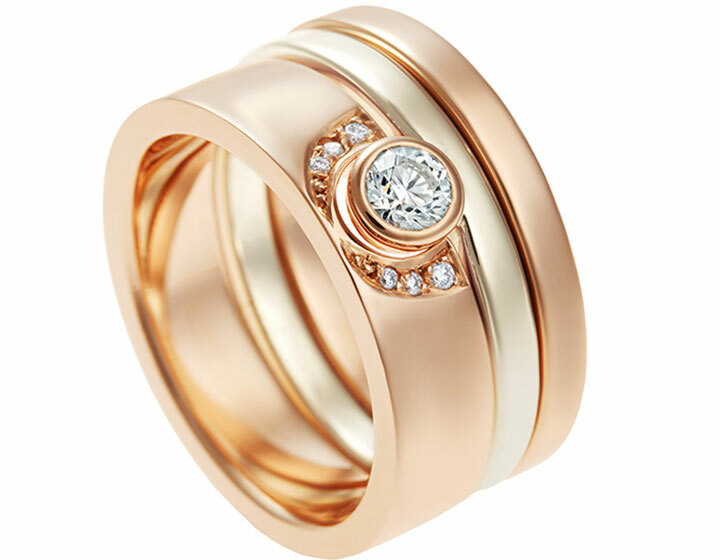 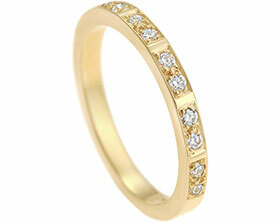 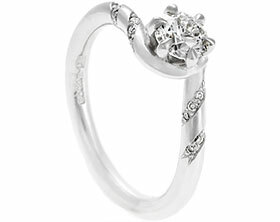 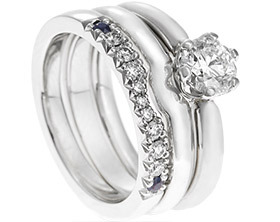 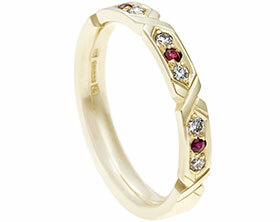 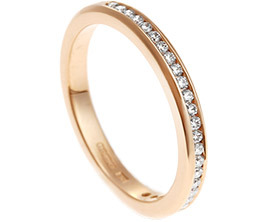 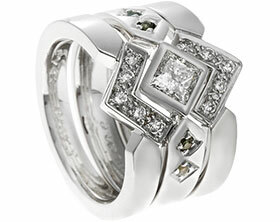 This stunning ring has a vintage appeal that would look beautiful alongside any ring set.